Here you’ll find documentation for our theme, Ultra. Ultra’s theme settings can be found under AppearanceCustomizeTheme Settings and in the case of Ultra Premium, another section at AppearanceCustomizeTheme Design. 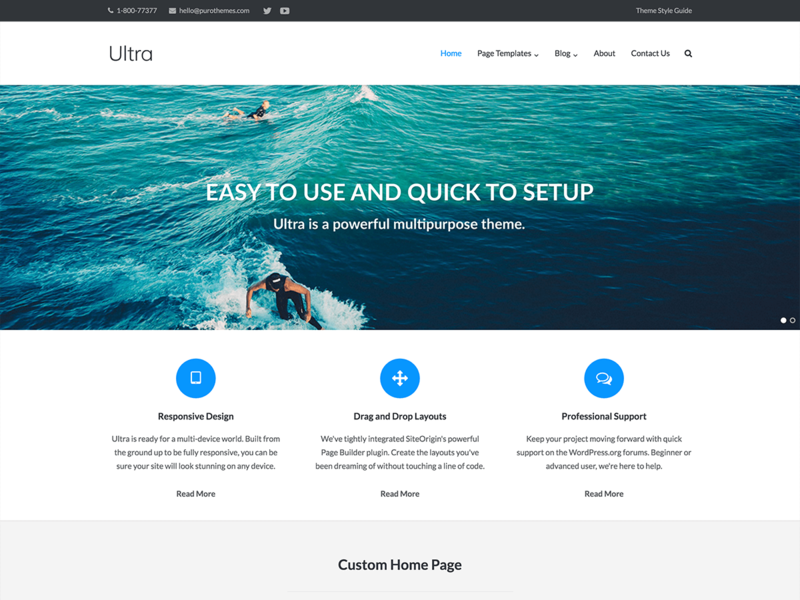 Ultra home page with a full width Meta Slider and SiteOrigin Features widgets below the slider.